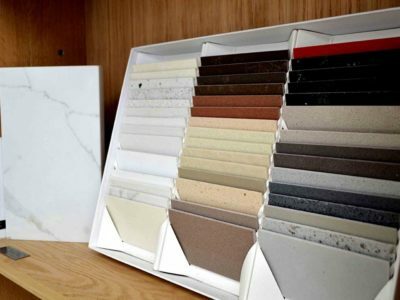 As specialist suppliers of marble, granite and quartz, Chandler Stoneworks offer a large selection of beautiful stoneware that can be used for in many interior design and refurbishment projects in the home. 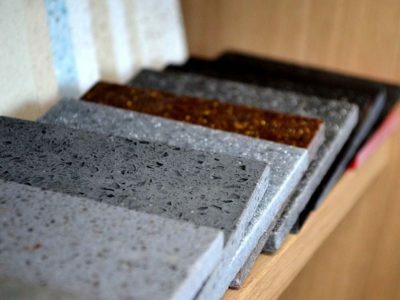 Our bespoke solutions for flooring and other interior surfaces is particularly suitable for kitchens and bathrooms. 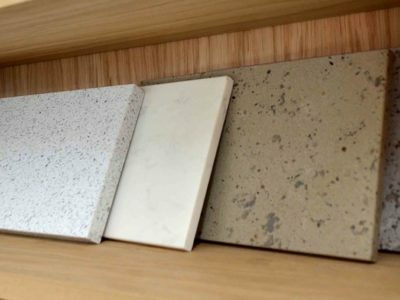 We can supply kitchen worktops and kitchen flooring in granite, marble, limestone and many other natural stones as well as composite worktops – we can even supply tailor made chopping boards to give your kitchen the perfect finishing touch. Chandler Stoneworks’ collection of stoneware is equally suitable to create stunning, luxury bathroom flooring and bath surrounds, or to form fire hearths and surrounds in living areas. We are an independent company based in West Sussex with 10+ years’ professional experience of supplying the finest stoneware to homes in Chichester, across East and West Sussex and all over the South East. 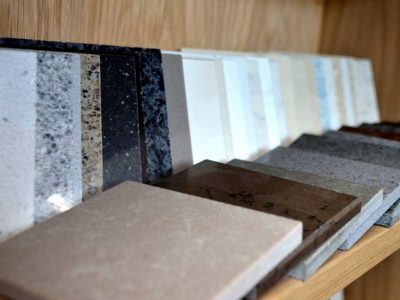 At Chandler Stoneworks, our capable team prides itself on providing a bespoke service to every customer, making sure that you choose the perfect natural stone material for your kitchen, bathroom or living area. We have experienced stone masons who are highly skilled at working with granite, slate, marble, limestone, quartz composite and many other materials, and can give expert advice on the best type of natural stone for whatever requirements you have. For homes in Chichester and the surrounding area, we offer a full project management service to guide you through the entire project from start to finish with expertise and peace of mind. 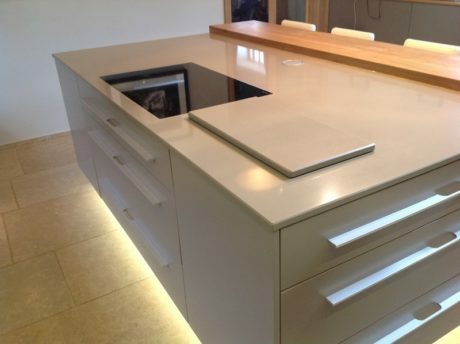 We provide a full templating and fitting service to help you use the space available in your kitchen or bathroom in the most stylish and efficient way. At Chandler Stoneworks, our service is designed entirely around your specific requirements. We offer competitive prices for a fast and reliable 7-10 day turnaround service, starting with the initial template and finishing with the final installation, while we work with you throughout the project to ensure that you are totally satisfied with the result. Once your natural stone worktop or flooring is in place, we can provide expert advice on cleaning and maintenance along with a cleaning care kit to keep your new granite worktop, slate floor, marble bath surround or natural stone fireplace in top condition. 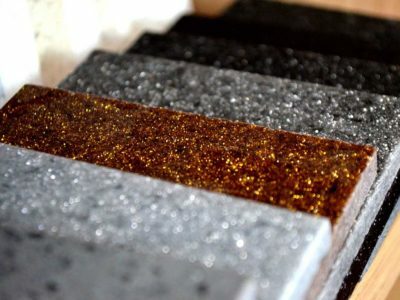 One of the best materials for kitchen worktops, granite adds a touch of luxury to any kitchen design. There’s a dazzling choice in an array of natural colours and unique patterns to suit both traditional and contemporary styles. What’s more, granite is waterproof, heat and stain resistant and extremely durable. If you’re looking for a kitchen design statement without wanting to compromise on practicality, Chandler Stoneworks’ extensive collection of granite kitchen worktops should be your first port of call. We also have a wonderful selection of stunning marble worktops that are equally suitable for both kitchen and bathroom projects. Marble is a metamorphic rock that comes in an array of unique and subtle colours and patterns. You will often find contrasting mineral veining running through the marble, which is what gives it that characteristic ‘marbled’ appearance. Being durable and scratch resistant, marble worktops add elegance and sophistication to kitchens and bathrooms. Limestone is a sedimentary rock, meaning it is a softer material that incorporates shell and mineral deposits. It is typically lighter in colour and works particularly well in bathrooms and as a material for fireplace hearths and surrounds. Slate, particularly if it is polished or honed, makes an excellent natural stone worktop. It is hard wearing, liquid resistant and stain proof. At Chandler Stoneworks, we have a selection of black, grey and green slate available, with other colours available on request. 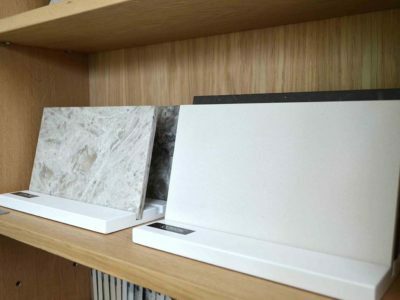 Ceasarstone – Best quality stone tiles and worktops that are perfect for a wide range of interior use. 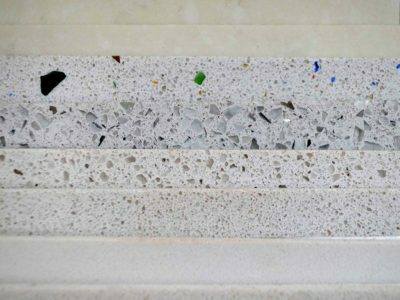 Ceasarstone quartz surfaces are both durable and flexible and come in a vast range of more than 30 colours. 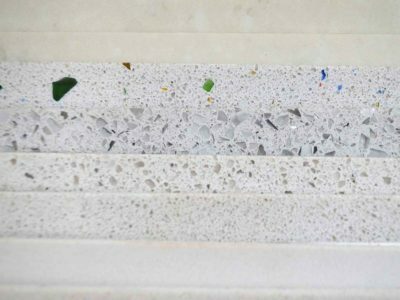 Compac – Technological quartz manufactured from pigments, resins and pure quartz, Compac marble and quartz surfaces represent enhanced stoneware that is particularly suitable for bathroom surfaces and flooring. 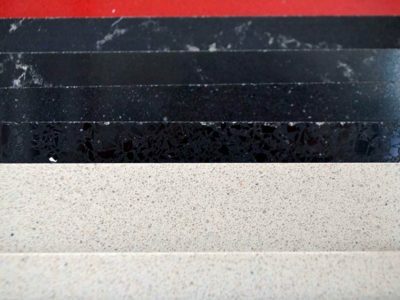 Stone Italiana – Top quality worktops and stone tiles from a long established supplier who is proud to maintain their position at the forefront of technology and design. At Chandler Stoneworks, complete customer satisfaction is what we’re endeavouring to achieve every time. 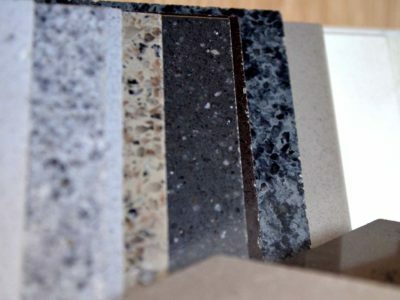 We want all our customers to be entirely happy with their choice of natural stone for a kitchen worktop, bathroom flooring or any other interior design project. We are delighted to have built up an excellent reputation in Chichester and West Sussex as a high-end supplier and installer of marble, limestone, granite and other natural stoneware, having received feedback from many satisfied customers. Why not take a look at our Testimonials page and see for yourself? 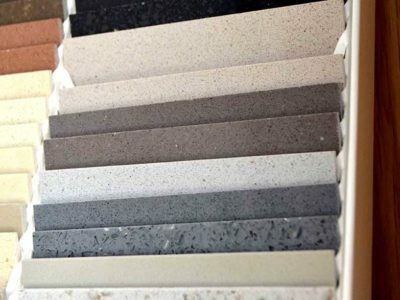 Chandler Stoneworks have a huge selection of stoneware on offer, ranging from marble and granite to slate and quartz composite. 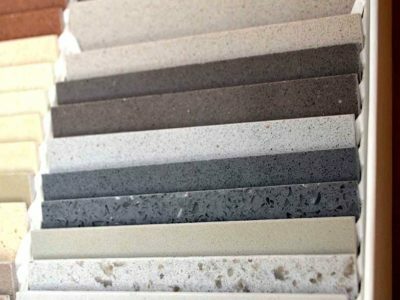 If you are thinking of redesigning your kitchen, refurbishing your bathroom or adding elegance and style to any of your interior areas, we can supply whatever stoneware you need in the Chichester area. For more information about our products and service, please get in touch with our friendly, knowledgeable sales team on 01903 885941 or send us a short online enquiry. If you prefer to see our vast collection of stoneware for yourself, you are warmly invited to visit our showroom, which is open Monday to Friday, 9.30am-4.30pm and by appointment on Saturdays. If possible, give us a call first to let us know you’re coming so that we have a team member ready to show you around.